JARD AR Straight Top-Adjustable triggers feature adjustable sear engagement from the top of the trigger system. Available in single-stage or two-stage, and with either speed or weighted hammer. JARD AR Curved Bottom-Adjustable Two Stage triggers feature adjustable sear engagement from the top of the trigger system. Offered in small pin or large pin formats and with either speed or weighted hammer. The JARD AR-10 Trigger System is for older Armalite rifles made before 2003 with the narrow hammer design. 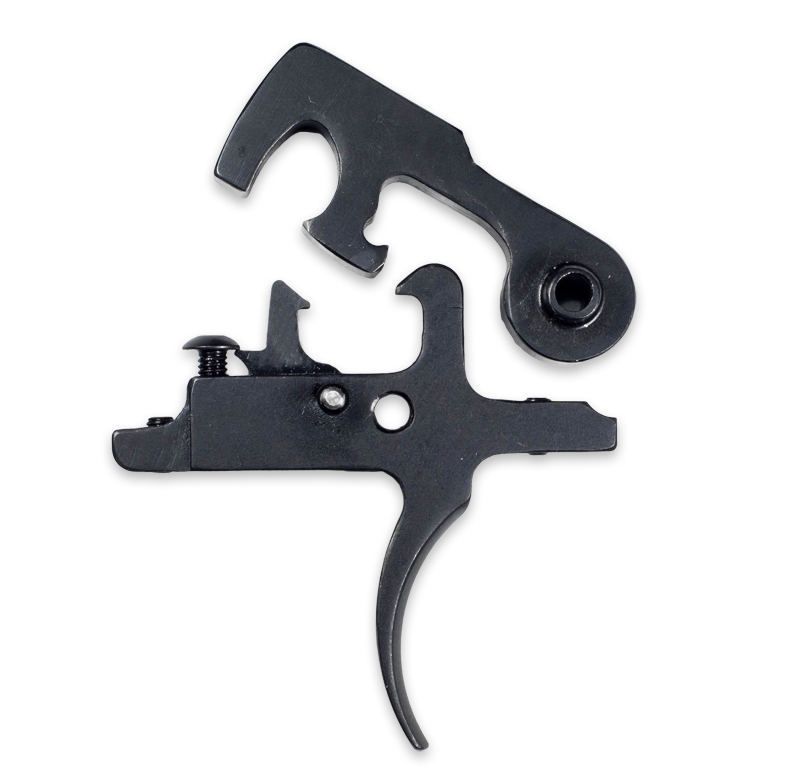 These trigger systems are adjustable and available in single or two stage formats. The JARD AR Adjustable Module Trigger System features an easy drop-in installation and provides an adjustable smooth, crisp trigger pull. JARD ARJ Curved triggers are our most basic but affordable trigger kits. Perfect for building your own AR, they’re non-adjustable, come standard with weighted hammer, and offered in three pull weights. The JARD AR Non-Adjustable Module Trigger System features easy drop-in installation and provides a smooth, crisp 4 lb. trigger pull. The JARD AR Pistol Caliber Kits are designed for Pistol Caliber AR Rifles where the bore axis to cocking height is not standard 5.56 mm specifications. These triggers are available in straight and curved, top adjust and bottom adjust sear engagement.